Grupo Fantasma has appeared alongside Los Lobos, Prince, KRS-One and Spoon. 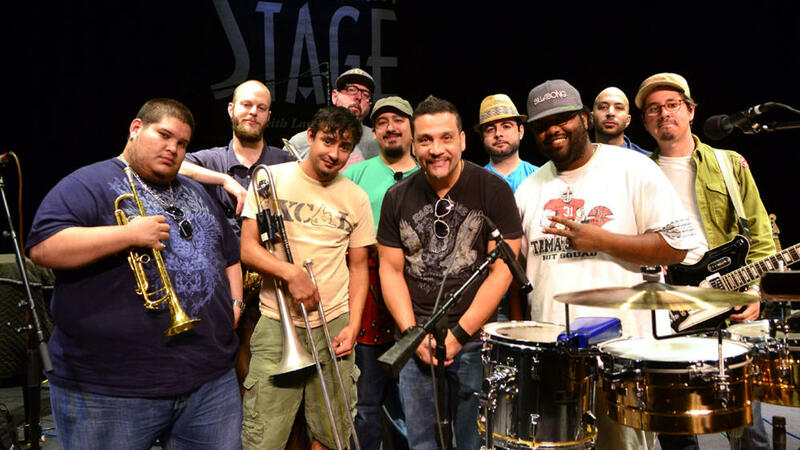 Latin funk band Grupo Fantasma brings its 10-piece lineup to Mountain Stage for a five-song set fusing African and Latin rhythms, driving horns and electric guitars. The band's 2010 album El Existential won a Grammy for Best Latin Rock, Alternative or Urban Album. Emerging from Austin's storied music scene in 2000, Grupo Fantasma soon perfected a blend of Latin and African styles, reggae, salsa and old school funk. The band found a loyal audience almost immediately and has appeared alongside Los Lobos, KRS-One and Spoon. Grupo Fantasma has also backed Prince on multiple occasions at his 3121 Club in Las Vegas. This show originally aired Oct. 17, 2011.